Where Are All The Budding Ballerinas? Dancer turned choreographer Carlos Acosta has warned that ballerinas are causing a crisis in the dance world because too few are making the leap to a career as top-level professional dancers. This sweeping statement seems rather unsupported, with Acosta claiming there are no female dancers of a sufficient stature for him to perform opposite, with girls becoming ‘non-existent’. It is widely known that there are hundreds of thousands of females dancers all competing for the top spots in dance companies, with considerably less males vying for this. However, Acosta maintains that with various pressures for female dancers it is difficult to meet the challenges required. Female competition is constantly increasing, and even the Royal Ballet School has confirmed Acosta’s observation, with directors finding it increasingly difficult to find really talented girls in the past few years. While girls are the overwhelming majority of applicants to the Royal Ballet School’s junior years, there are currently more boys than girls among the intake by the age of 16. Despite Acosta’s claims, 2013 marked his 40th birthday and Acosta has not hidden the effects of dance on his body, admitting that pain and aching joints are the by-product of a career devoted to dance, regardless of gender. Acosta consequently believes the Government should play an active role in encouraging more female dancers, with financial implications a big factor in children beginning ballet. Subsidising the arts and awarding scholarships would encourage more young dancers and their parents to continue in the ballet streak. If the UK is unable to produce female stars, they will be encouraged from overseas. Acosta feels it would be better to do more to look elsewhere and give people a chance to flourish. Carlos Acosta’s return to the London Coliseum in August is highly anticipated, particularly as the casting and classical repertory has recently been announced, forming Acosta’s Classical Selection. Running from July 30 to August 4, the run is full of huge ballet stars and iconic works. Acosta’s new show will be presenting highlights from his career in celebration of his 40th birthday, which is marked by 2013. For Classical Selection, the thrilling Principal will be joined on stage by some of his past dance partners and stars of The Royal Ballet, including principal dancers Marianela Nunez and Nehemiah Kish, ex-Royal Ballet Principal Leanne Benjamin, first soloists Ricardo Cervera and Yuhui Choe, soloists Melissa Hamilton and Eric Underwood and first artist Meaghan Grace Hinkis. The programme looks set to be captivating, and every ballet fans’ dream. The pieces on offer throughout the run are some of the most iconic of the classical ballet world. Performances such as extracts from Manon, Winter Dreams, Mayerling, Gloria and Requiem were originally choreographed by one of the greatest ballet choreographers of the 20th century, Kenneth MacMillan. Also part of the programme is an extract from George Balanchine’s Apollo and from Rubies, and an extract from one of Frederick Ashton’s last works, the Rhapsody. The programme concludes with fellow Cuban choreographer and Rambert dancer at Miguel Altunaga’s 2009 solo Memoria, extracts from Mikhail Fokine’s Diana and Actaeon and Christopher Wheeldon’s Tryst. Acosta is currently performing as a Principal Guest Artist with The Royal Ballet, having also danced with English National Ballet in 1991/2 as a Principal – where his nephew now dances – the National Ballet of Cuba in 1992/3, and was a Principal with Houston Ballet from 1993/8. 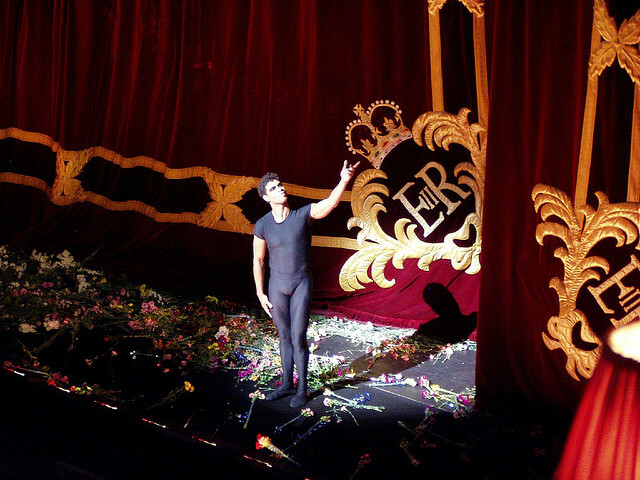 Acosta then joined The Royal Ballet and became a Principal Guest Artist in 2003. Image courtesy of scillystuff on Flickr. Royal Ballet principal guest artist star Carlos Acosta has revealed his brainchild, a scheme to complete the five national arts schools in Havana, Cuba, originally thought up by Fidel Castro and Che Guevara in1961. The schools were never finished, but now fifty years later a new project is underway to transform the site into a world class ballet school. Acosta, leaving his own ballet shoes and ballet tights aside, wants to provide a platform and focus for young people to explore hidden talents and develop their skill and help them make positive choices in life, while raising both the awareness and quality of dance to a new level. The scheme is to be backed by the Cuban government, with the project set to create a new ballet school, with Acosta’s vision aiming for people from all over the world will come to the centre to learn new skills. Students will learn a variety of different styles of dance, from ballet to tango, donning practice shoes and Cuban heels accordingly. There will be workshops and masterclasses and short courses throughout the summer and winter, a sign of how ambitious the project is comes with the cost: a total of $3.5m will be needed just to restore the existing buildings on the site. 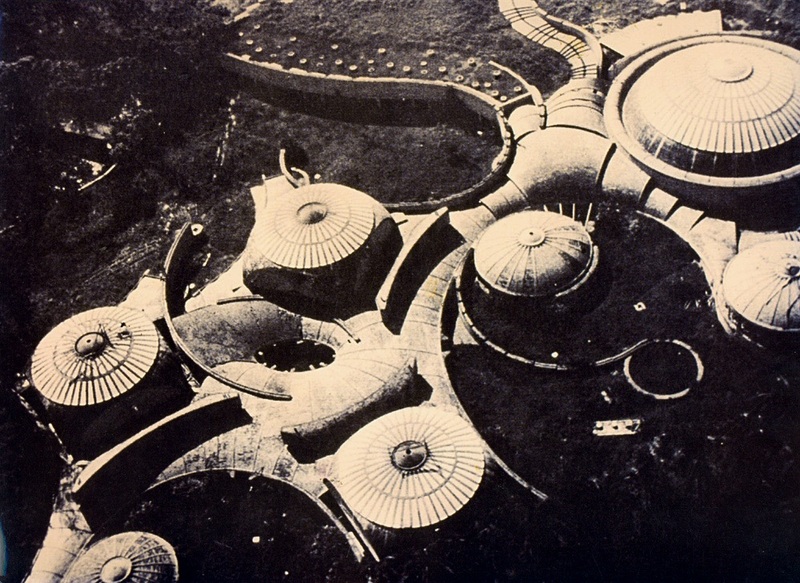 Internationally renowned British architect Lord Foster is involved in the project, who will be sticking to the previous plans for the original ballet school at the site. The Carlos Acosta Centre for Dance will complete the legacy of the arts school campus in Havana to inspire future generations of performers, under the talents of Acosta. 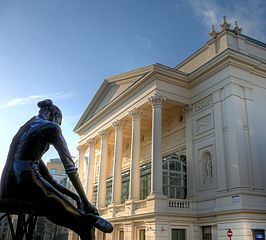 The Royal Ballet company has announced the Guest Artists who are due to don their show tights and ballet shoes and join the company for the 2012/13 season. Tamara Rojo and Sergei Polunin are both set to return, despite Polunin’s controversial exit from the company earlier this year: it could be argued that Polunin was too hasty to throw his legwarmers out of his well-made and preparatory pram. However, he is set to re-join the Royal Ballet Company as a Guest Artist which, presumably, can be the favoured option for some dancers. Rojo and Polunin will return to the Royal Opera House for three farewell performances of Marguerite and Armand on 12, 15 and 21 February 2013. The pair originally danced the ballet to audience acclaim in October 2011, and is now expected to do the same 2 years on. Marguerite and Armand will be Rojo’s final farewell performance in Covent Garden as a reprise, before she takes up her new role as Artistic Director at English National Ballet in August 2012. Additionally, Natalia Osipova is to debut alongside Carlos Acosta, a well-loved favourite of audiences globally. Osipova, Principal of the Mikhailovsky Ballet will make her Royal Ballet debut in Swan Lake, where she will dance alongside regular Principal Guest Artist Acosta on 10, 13 and 25 October. Next season will be Osipova’s first appearance (with her tutu) with the company, and it seems the arts scene is greatly anticipating her work with Acosta who is renowned worldwide for his strength, artistry and phenomenal technique. Tickets for Swan Lake are currently on sale with public booking for Marguerite and Armand opening on 17 October. Former Royal Ballet star Carlos Acosta is set to make his feature film debut in The Day of the Flowers, due to receive its world premiere at the Edinburgh Film Festival on June 25, with the UK release due later in 2012. The plot follows two Scottish sisters leading very separate lives, who have a mutual clue to follow. This sees them rush to the airport in a vintage white Mini Cooper and set off for Cuba, where their parents spent many happy years in the 1970s, with the film sharing a very vintage feel with its audience. Acosta plays a ballet teacher who is working a double life as a tourist guide in order to survive. One ballet scene, enabling Acosta to revert to his ballet shoe roots, sees him take on an extremely authoritative manner. Another dance scene emerges when one sister asks Acosta to dance in a club, forgetting the whole of Cuba can dance, as can Acosta. Whilst previously partnered with pointe shoes and sparkling tutu skirt wearing ballerinas, Acosta again demonstrates his sheer versatility. Despite this, the film is not programmed to showcase his dancing to new audiences, but to wow existing fans vying for another glimpse of the star in another capacity: acting. A far cry from his previous ballet tights and tunics, Acosta meets the sisters as a tour guide, inevitably rescuing their inexperienced Cuban presumptions. Aside from taking on this role within The Day of the Flowers, Acosta also has strong links of this kind with his nephew Yonah Acosta, who currently dances with English National Ballet and won the People’s Award earlier this year. Combining the rosin-laden stage with the film set, the Acosta family continues to demonstrate there are no limits to their talents. April has been a month of huge proportions for former Royal Ballet prima ballerina Tamara Rojo, having just been appointed as the new Artistic Director of English National Ballet. The news has flooded the internet and social media since the press release was issued and the official announcement followed. Rojo will be swapping her tutu and pristine tights for this managerial role, although it has been speculated that she may still dust off her pointe shoes and continue to dance professionally in some form. Rojo has previously advocated her desire to take on this role at some point in her career, and what better company to establish herself with: fifteen years ago, Rojo showcased herself with English National Ballet, shooting to stardom under director Derek Deane. Following the sudden announcement two months ago that current director Wayne Eagling would step down from his post, Rojo’s name was widely rumoured as successor, alongside another star of English National Ballet and Rojo’s regular Opera House partner, Carlos Acosta. 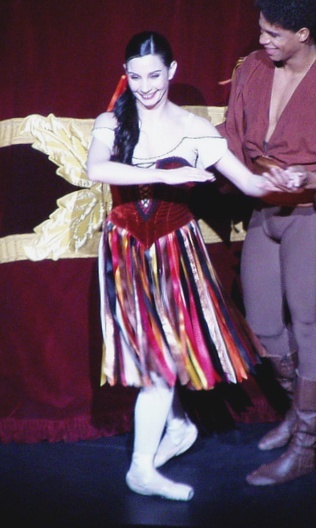 Despite the fact many questions have been raised about Rojo’s youth and relative inexperience in directing a company, it is also arguable that her potentially fresh visions and performance career will complement those of the current dancers at English National Ballet, considering Rojo is at the peak of her dancing career aged 37 with undeniable box office popularity. The first Rojo production for English National Ballet will be the three hour classic The Sleeping Beauty, for which audiences and critics alike will compare it directly with the recent tiara twirling My First Sleeping Beauty and Rojo’s own English National Ballet and Royal Ballet performances of the same work. Rojo’s hugely successful performing career places her in good popular stead for her new appointment following her final performances with The Royal Ballet. Her multi-faceted skill base as both a dancer and an industry professional indicates she will be successful in maintaining the glamorous image of English National Ballet in both London and on tour. What do you think about Tamara Rojo and/or her new role?